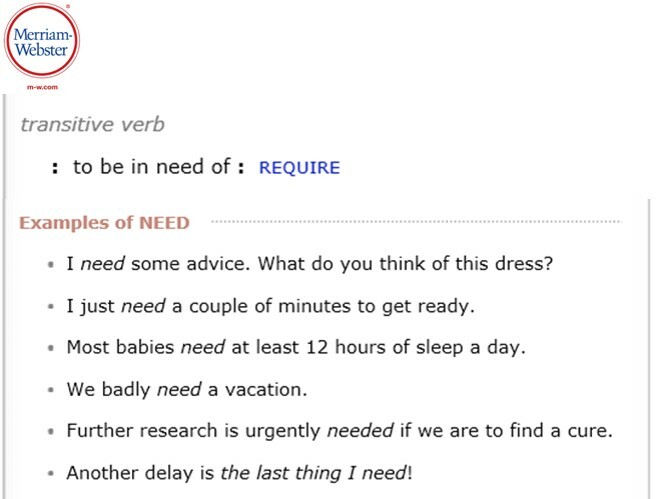 Have you noticed the word need being used a lot? If you pay attention, you’ll hear it everywhere. Today I went to a shipping company’s store and saw this poster on the wall. Can the china in the poster need to be delivered overnight? The poster uses the transitive verb need in a way that used to be unconventional. Now, the usage has become embedded in the American lexicon beyond all hope. Even in formal settings. Conflict can’t need. A year can’t need. Teacups can’t need to travel. When Merriam-Webster’s Collegiate Dictionary gives example sentences for the transitive verb (a verb that takes an object) need, people are the subjects who need something. When John Kerry said “This (the strife) needs to end for everybody,” he meant everyone needs the strife to end. When the president said “This needs to be the year,” he meant the people need this to be the year. 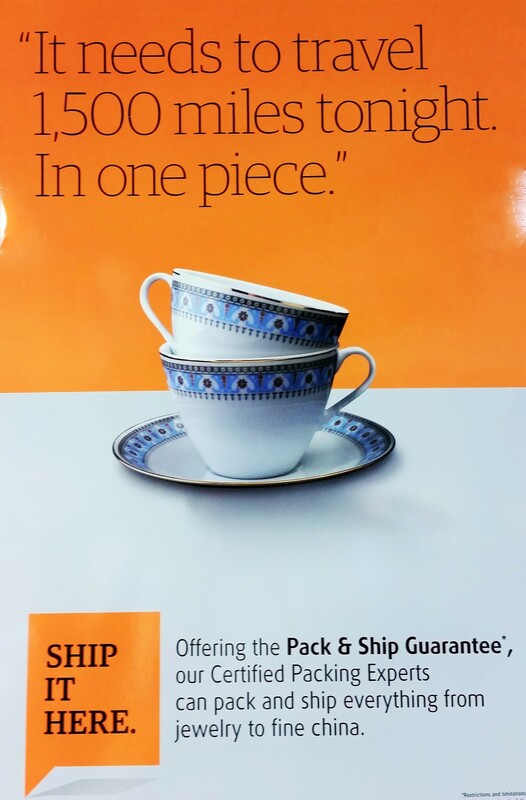 When the customer being quoted in the shipping poster says teacups need to travel, the customer means the sender (or the recipient) needs the teacups to travel. More appropriate terms would have been ought to, has to, or should. A stronger word would have been must. This indirectness or softening seems to have caught on relatively recently. In my school days, I never heard a teacher issue a feeble “You need to be quiet.” Teachers were comfortable using what grammarians call the imperative mood. They stated commands. Be quiet. Please sign here. The strife must end. This must be the year. Speakers and writers who overuse need seem too timid to use strong, explicit words. They should get over it. Audiences crave clarity. Of course our language is constantly changing and evolving. I embrace that. But this imprecise and bashful application of need is an example of language evolution that I could do without. Is this a tempest in a teapot? I don’t think so. Sure, the transitive verb need is often used of things, and that usage sounds sensible some of the time (my car needs an oil change). But it sounds dissonant when oddly projected onto a thing that is not in need (that dog needs to stop barking; the rain needs to end). This use of need in casual conversation is here to stay; there’s no fighting it. But business writers, speechwriters, and other professional communicators should show more sophisticated use of the language. They should give their audience what it—yes—needs: direct, clear expression. Clarity. That’s every editor’s cup of tea.